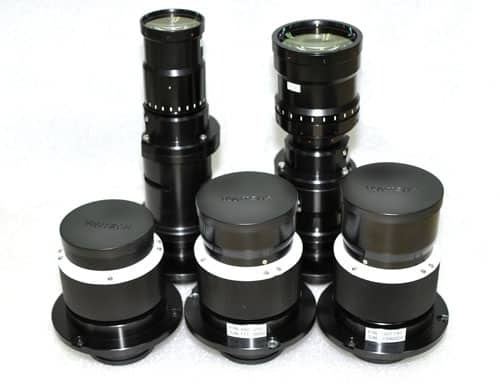 The reference projection lenses are mostly dedicated lens designs optimized for transmission and image performance in Deep-Blue and N-UV applications. A wide range with different lens magnification options is offered. Customization options are available for other magnifications. The magnification is the scaling factor from the native DMD pixel pitch into the image plane, while the power factor indicates the scaling factor for light engine optical power output to image plane, given by the projection lens numerical aperture.